UNESCO just published a Global Education Monitoring report titled Building Bridges, Not Walls and, among other things, they found that fear of deportation is resulting in absences from school. Immigration policies, deportation threats keep kids out of school, ... is from NBC News. 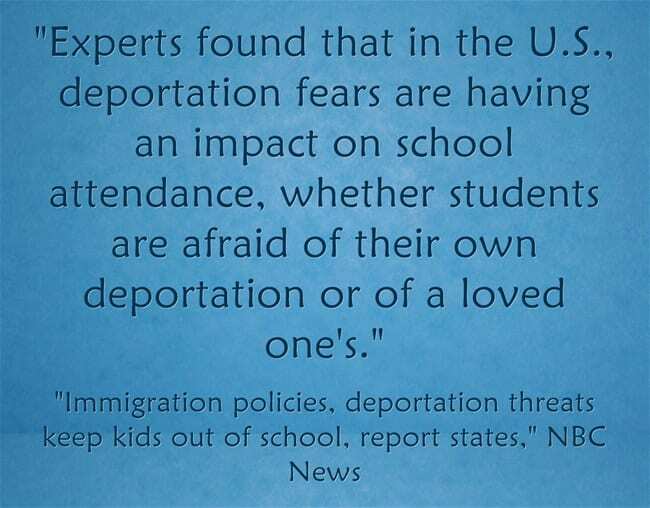 Report: Deportation Fear Grips Immigrant and Refugee Students in U.... is from Ed Week.